I woke up and said goodbye to Ruben, the hostel manager in Bogota. Although I couldn’t communicate well with him as he spoke only Spanish, I felt like he really cared for my well-being. I then went to the TransMillenio station to catch the train back to Portal Norte for the 3rd time. I figured at this point, I knew how to get around on the Transmillenio, but I soon learned (after waiting for 20 minutes then asking a cop) that my bus didn’t start running until 9am so I had to catch a different bus from another station 3 blocks away then transfer. For some reason that got me frustrated and by the end of the ride, I accidentally walked out to the place to catch the bus to Chia. 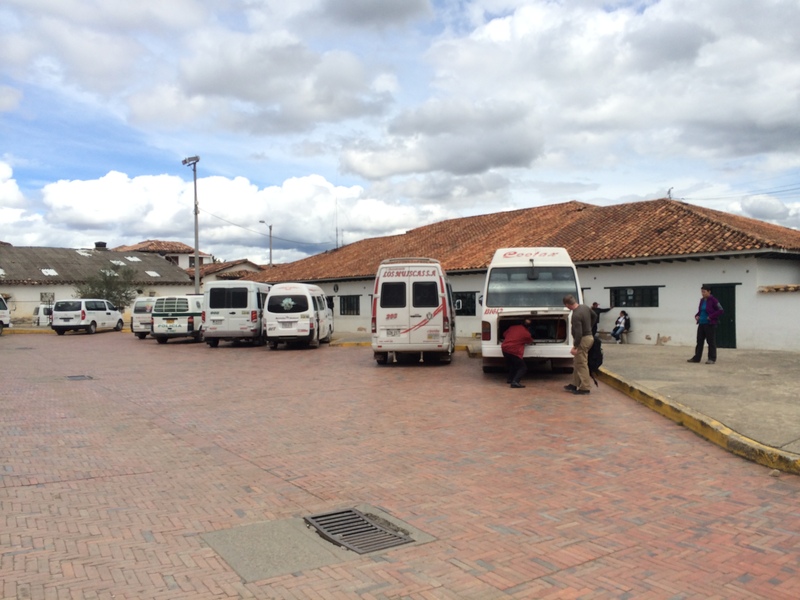 However, the bus to Tunja (then to Villa de Leyva) actually left across the street from the station. I was in essence trapped on a bus platform unless I bought another ticket. I begged and pleaded but nobody spoke English. Eventually I pantomimed a person walking up to and over a bridge and said “caminar” when the lady let me through for free. 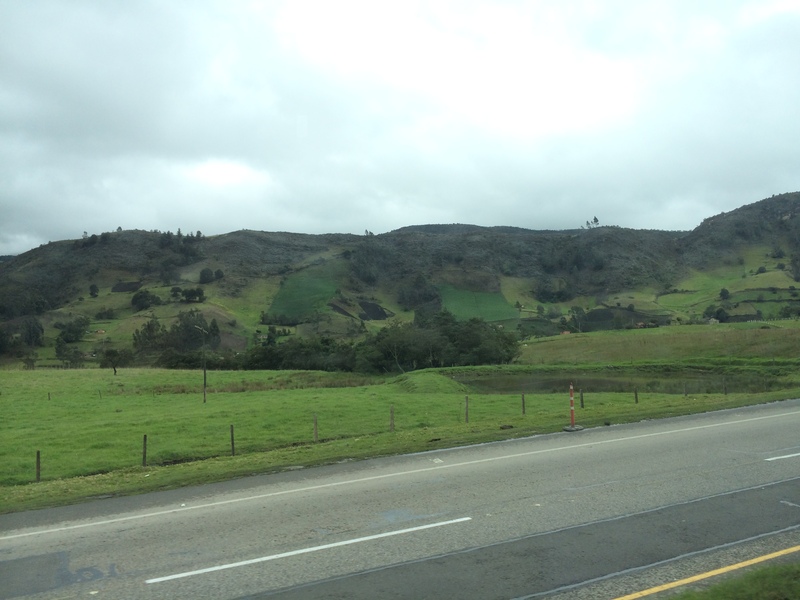 I then walked over to the other side of the platform and caught the bus to Tunja. The bus ride took only 2 hours. I then transferred to a minibus for another bumpy 90 minutes on dirt roads before reaching the magnificent Villa de Leyva. 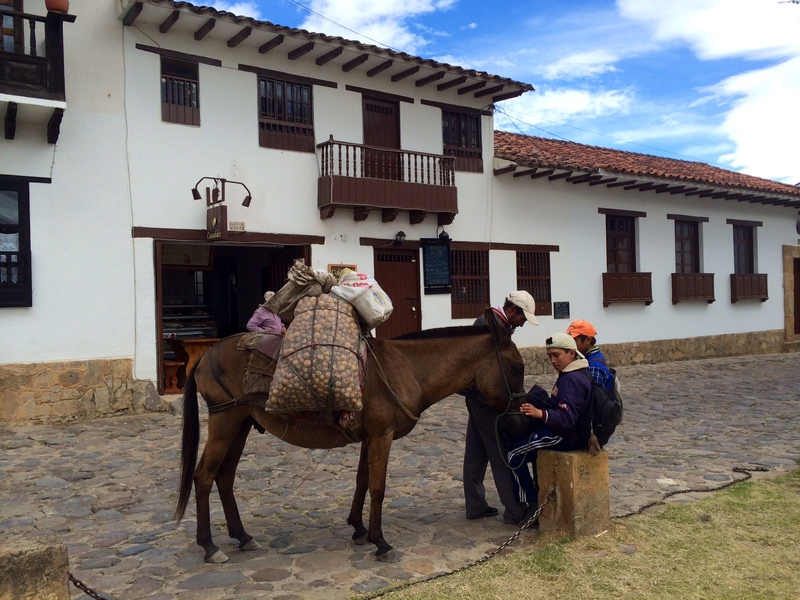 Villa de Leyva is a very special town. It is perhaps the only town in the entire country to have preserved all of it’s colonial architecture- 92 blocks of it. Every building is a beautiful white color. 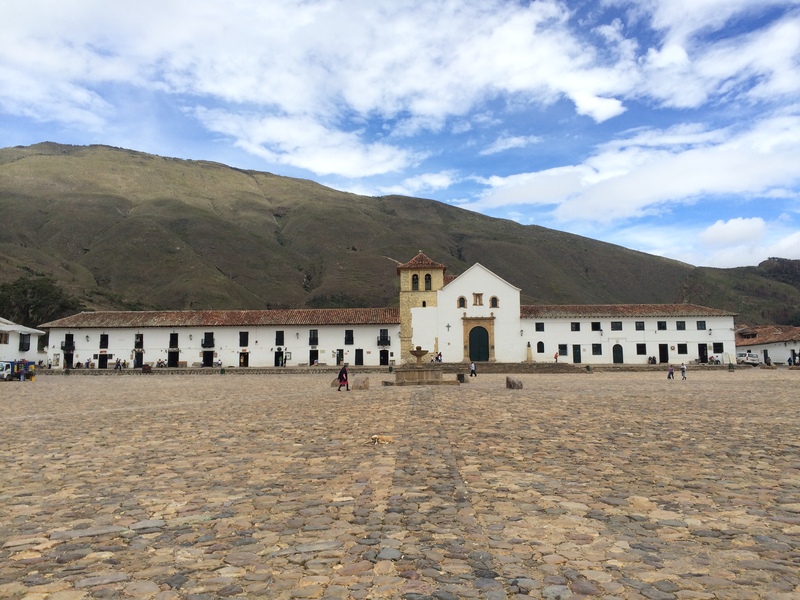 The huge main square, Plaza Mayor, is centered around the church. The town moved at a glacial pace. Almost nobody was on the street and those that did walked very slowly. I strolled the empty cobbled streets and eventually wandered my way into the main town square with the cathedral. Again, the square was empty and all the businesses were closed save for a gift shop. Then, I realized what was going on as a hearse pulled up into the square in front of the church. I got my distance, sat down, and watched as the casket was carried out of the church followed by at least 1,000 people. I suppose in a small town, everyone knows everyone. For a few hours, I wandered the town exploring almost every street. When I couldn’t explore anymore, I checked into my hostel which turned out to be a homestay just out of town. Just like in Bogota, my hostess knew no English. However, I was still able to understand her with my 3rd grade level of Spanish and a lot of educated guessing. She invited me to drink some coffee with her which I did. I then walked down the street to get lunch. My 3 course lunch cost just under $4!! After lunch, I continued to wander and now that the funeral was over, I was able to go into some of the museums. I went to an old house with lots of religious art, I went to the historical museum, and I went to a few art galleries. I then got dinner and went back to the hostel. There I started chatting to a British couple (actually the husband was from England, while the wife was Scottish). They have been traveling for over 3 years after selling their second home. He used to be a bus driver. On this leg of the trip, they started in Mexico and worked their way down using only public transportation. They asked me if I wanted to play some cards. I said yes. They only knew one game called 10 Card Brag. We played through the night telling stories from past travels and drinking Poker beer. Because I stayed up later than expected, I woke up around 8 and didn’t have enough time to do anything besides one final stroll through town on the way to the bus station to catch a bus back to Tunja. On my bus, I met a Swiss couple who were just starting their round-the-world trip. They were experienced travelers. I enjoyed talking about the differences between the American work system and the Swiss. It appears that the Swiss system values travel more and is less vertically stratified. On the other hand, it doesn’t value job loyalty much. Rudy, the guy, was a lifeguard who quit his job to travel. After Colombia, his next stop was Canada. In Tunja, we haggled for the bus fare (which you can do in Colombia) before settling on one leaving after waiting about 30 minutes. The bus trip took 5 hours. About 2 hours in we stopped in the village of Barbosa after descending from the Andes. It was hot and I was very glad that they put on the AC. 30 minutes later, we stopped for lunch at a roadside restaurant with a pool. Around 4pm, we arrived in San Gil in Santander state. The town was set against a jungled hill above a river. Quite picturesque. The hill was unbelievably steep. After checking into the hostel, I planned out the rest of my trip. 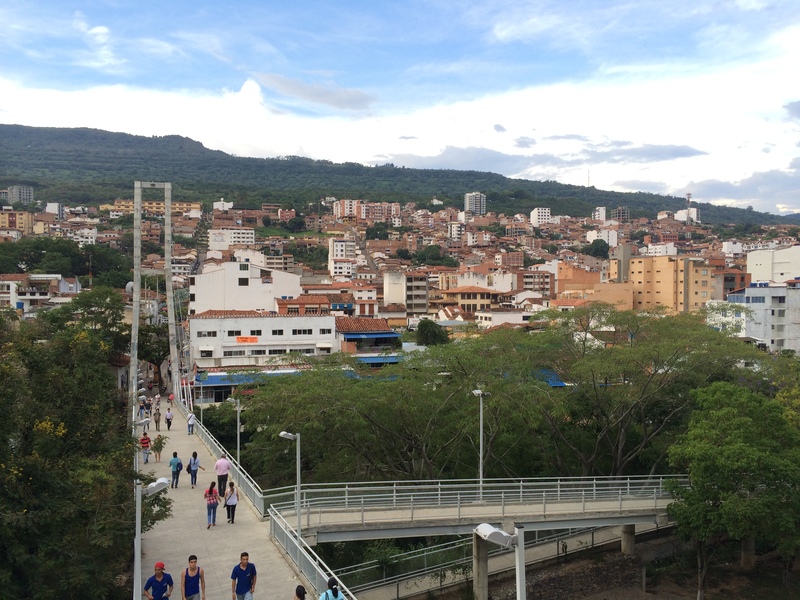 The original plan was to bus to Medellin and then fly to Cartagena. But I changed my mind and found it cheaper to bus to Cartagena and fly to Medellin and then back to bogota. I’ll would have to take a 17 hour night bus, but I’ll survive. It was about 5pm and I decided to wander the town of San Gil. I briefly stopped by a shopping mall that was modern by anybody’s standards. I then checked out the church. Nearby the church, I saw a bunch of people drinking on stools in yellow jerseys. They were all watching the Colombian national soccer team play a game. I ended up meeting a local family. The dad bought me 3 beers because I tried to talk to him in Spanish, because I was a foreign tourist, and because he was drunk. Colombia won, so it was a lot of fun. Hanging out with my new Colombian friends! After, I met some girls staying at the hostel and we went out for drinks and dinner. The hostel recommended we go to a place called Gringo Mike’s. We walked in and this guy wearing a red polo says “Hi I’m Mike” in a perfect American accent. 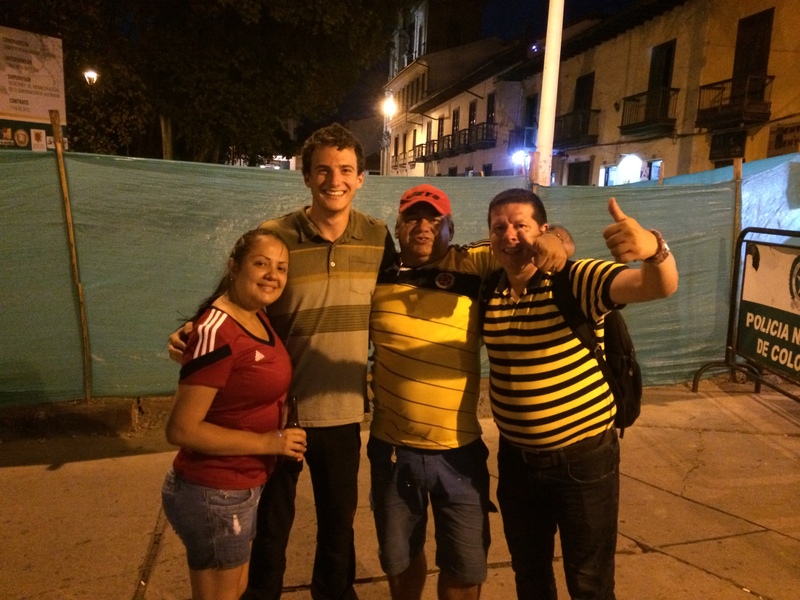 I was shocked as this was the first American I have met so far in Colombia. He was from Seattle. We drank awesome mojitos and ate burgers, a big surprise in a small town in remote eastern Colombia. The three of us drank a lot and then headed back to the hostel where I passed out just before 11. Woke up at 8, which is much later than I expected. Probably because I got pretty drunk last night, the first time in months. I then walked around the town. 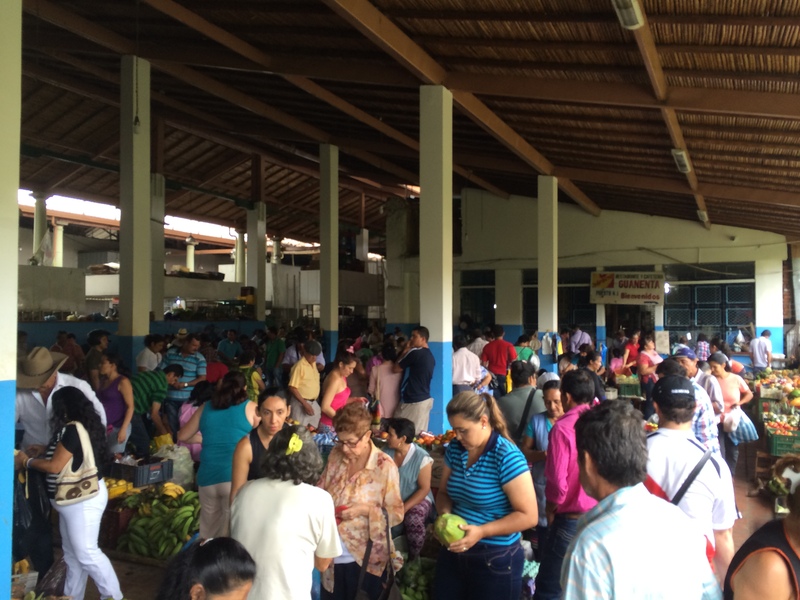 Every morning there is a market where you can buy vegetables, meat, and pretty much anything else you could want. After wandering around, I went to a stall that sold fresh juice. For $1, I got the freshest orange juice imaginable, as the lady cut up oranges and places them in the juicer. It was delicious. I returned to the hostel and prepared for the whitewater rafting adventure today. At 10am I got picked up along with 3 other people from the hostel. They were all teachers in the north of Colombia in Cartagena and Santa Marta. They came down to san Gil because of the 3 day weekend. Colombia actually has 3 long weekends in June all for various catholic holidays. The funny part is nobody knows what the holidays actually are. 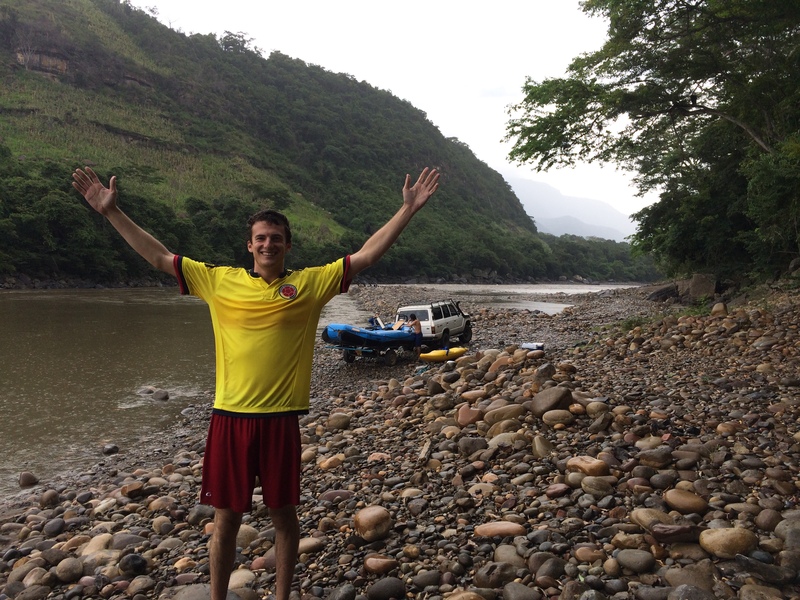 After stopping at the office to pay and at a shed to pick up the rafts, we drove for an hour to reach the Rio Suarez, which was at the bottom of a huge canyon. We safety briefed for about an hour before we practiced safety rescue techniques. I felt pretty safe because the company I went with just so happened to be staffed with members of the national rafting team! “First person to fall off buys everyone a beer” I said. 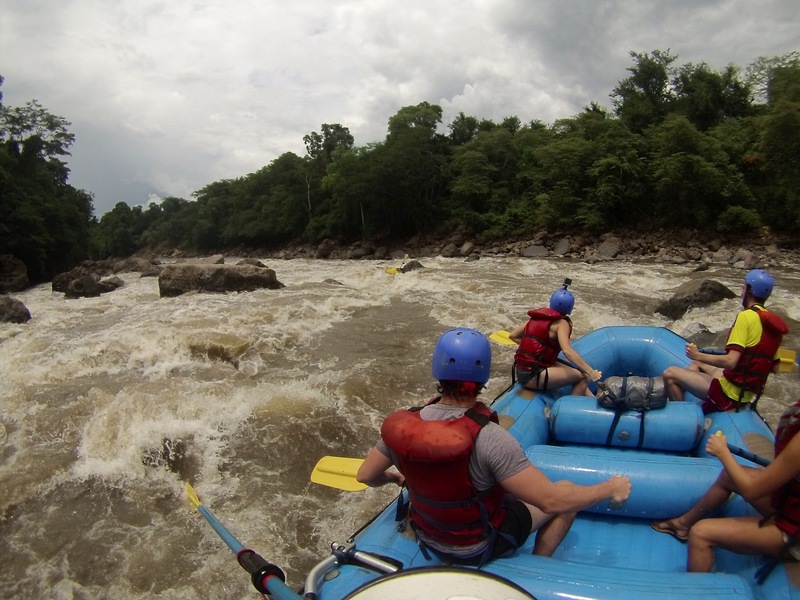 We started off with class 2 rapids and worked our way all the way up to class 5, which is the highest grade rafting companies are allowed to take people on. The class of rapids is determined by the difficulty to maneuver through the rapid, not the size of the rapids. With one major exception, the largest rapids in this river were actually the class 3 rapids. As we paddled through, the walls of water went over our heads. We got soaked on every rapid. At the halfway point, we went for a swim. 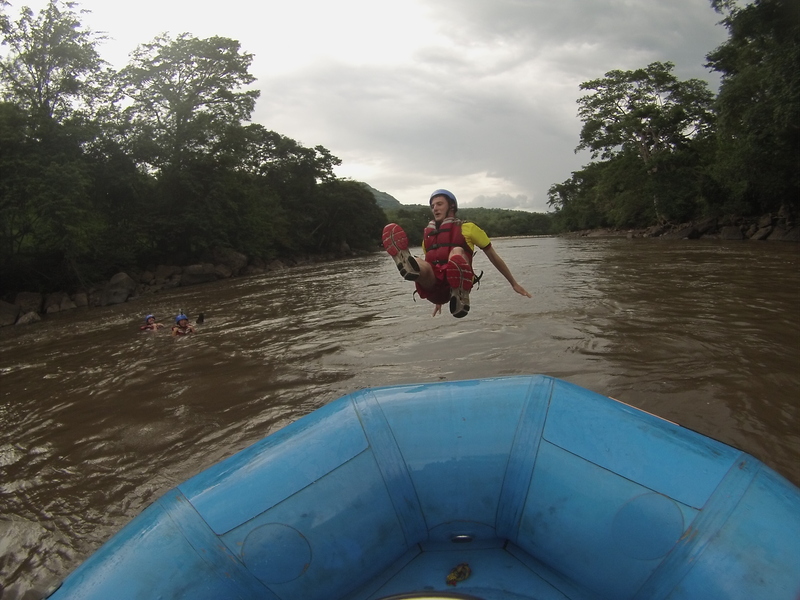 We all tried to do backflips off the raft into the water. I failed miserably and back flopped. After about 90 minutes of rapids, we pulled over to the side of the river at the top of a huge rapid. There the guide got out of the boat. He said he needed to see if it was possibly to go down the next rapid in these conditions. After about a minute of surveying, he decided that it was indeed possible but gave us a warning that the boat could flip. Finally he said that the name of the rapid is Surprise. We paddled down what appeared to be a tough rapid for about 100 meters. There were lots of big rocks, but certainly nothing outrageous… Then I saw it- the wall of water 3 times the height of the boat. “Inside” our guide yells as we quickly sit in the middle of the raft. 2 seconds later, we clash with the aquatic mountain and the boat goes vertical. For a split second, i think that we are going to flip over backwards but during that split second, we go airborne and land flat on the still water, victorious. Immediately after Surprise, it started to rain lightly, but it didn’t matter because we were already soaked. 15 minutes later we pulled up to the end of our trip where a table with food and beer awaited us. It was one hell of an adventure. 4 sons- none of them have actually lived in the US for longer than 2 years. We talked for about 2 hours before heading back to the hostel and going to bed. Once again I woke up on the late side- around 7:30 and didn’t start my day until 8:30. I wandered through San Gil until I found the local bus station and caught a bus to Barichara, a colonial town. The bus ride was supposed to take 30 minutes but it ended up being over an hour because of construction. Right before reaching the town, we passed by a police checkpoint. Up until this point, I have always been waved through. However, this time we were stopped. An unarmed policeman walked onto the bus and asked for everyone’s IDs. While I had my drivers license I wasn’t carrying my passport at the time, so I said I don’t understand Spanish. The officer said I was fine and then took the national ID cards of everyone on the bus and walked out. He then radioed in every ID number- probably to make sure nobody was a criminal or in a cartel. 10 minutes later, he returned the cards with a “gracias” and we were on our way. Finally we made it. 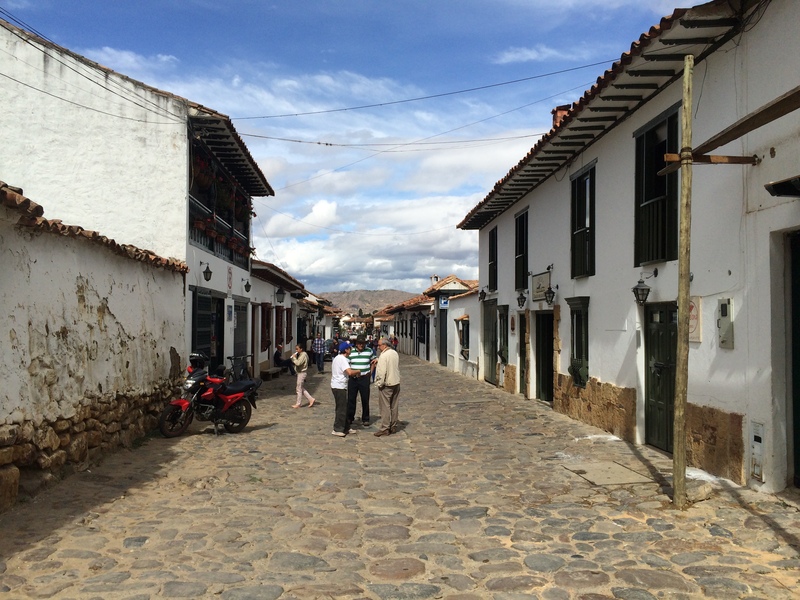 The town looked a lot like Villa de Leyva as it was a colonial town with white buildings. However, it was built on a very steep hill and the narrow one-lane roads were very steep. I wandered the town a little bit, first stopping in the church. Because this Monday was a Catholic holiday (nobody who speaks English knew what holiday it was), the church was packed with people. After seeing the town, i made my way to a lookout over Chicamonga Canyon, which is actually larger than the Grand Canyon of the Colorado in the US. After doing some research, there are actually quite a few canyons larger than the Grand Canyon including one in Mexico. However, since most of these canyons are inaccessible, they don’t get much press. The largest canyon in the world is in remote Pakistan and is 3 times as deep as the Grand Canyon with walls 18,000 ft high!! Anyways, the view here was awesome. 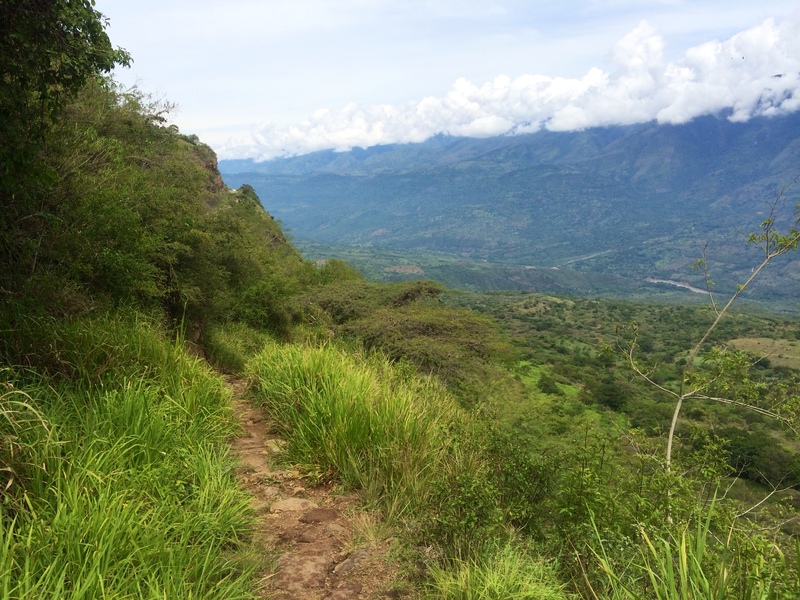 After asking for directions, i walked over to the trial to Guane, the next town down the canyon. 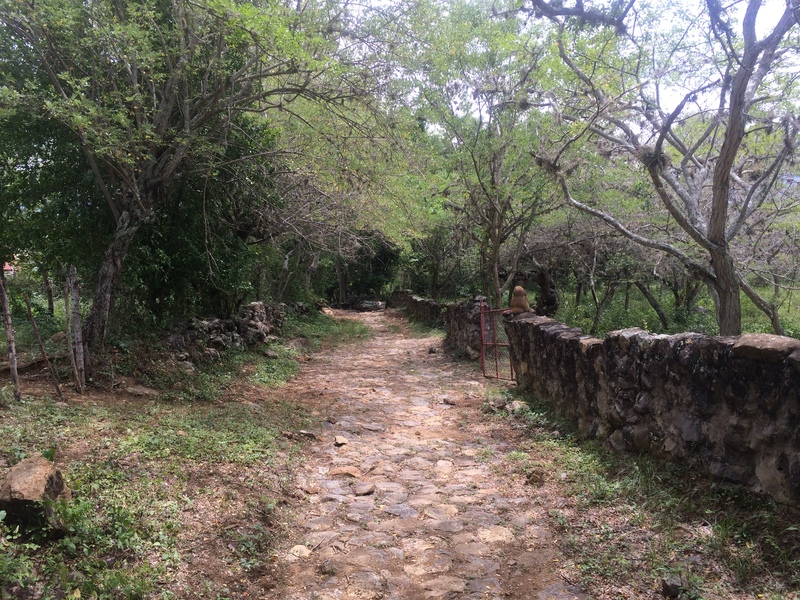 The road between Barichara and Guane is famous- in fact it is a national monument- because it was built by the ancient Guane people hundreds of years ago. Not much is known about the Guane people except that they died out around the year 1500. The path was made of carefully placed stones and went down the canyon and through farmland for about 3.5 miles. 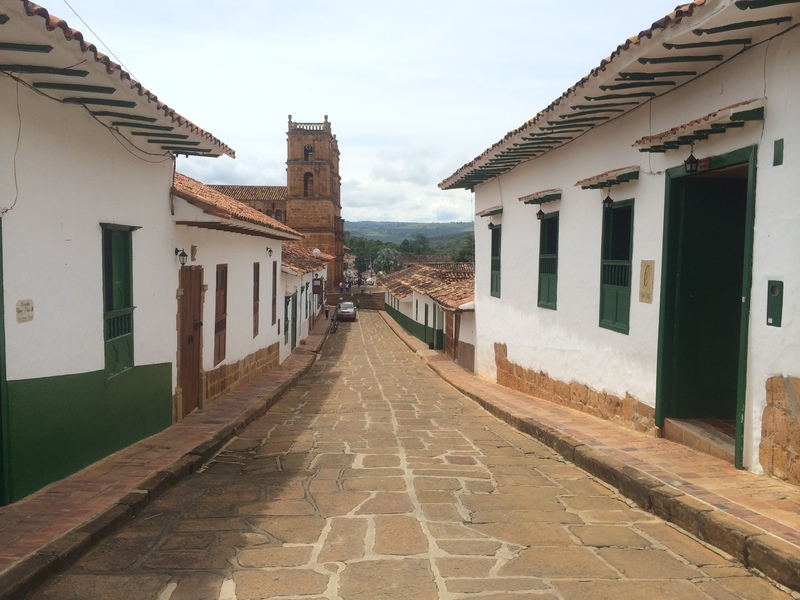 Eventually I reached the tiny colonial town of Guane. In was about 4 blocks by 4 blocks including the town square. When exploring the town, I ran into some people from my hostel. Together, we caught the bus back to Barichara. 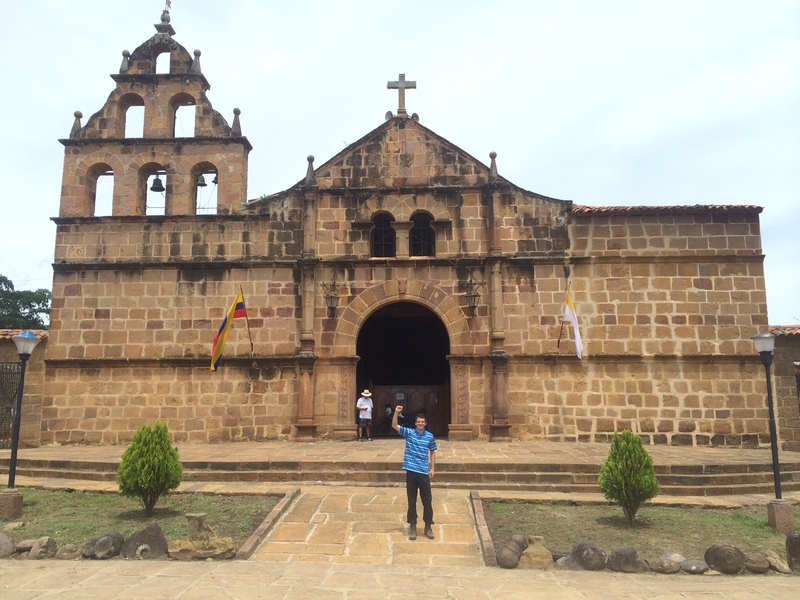 They continued onward to San Gil, but I wanted to see a bit more of Barichara. I got lunch and then saw some more churches and an awesome tree for about an hour before catching the next bus back to San Gil. I was pretty tired at this point from walking in the hot weather up all those hills. A real adventure in rural Colombia. Celoso.